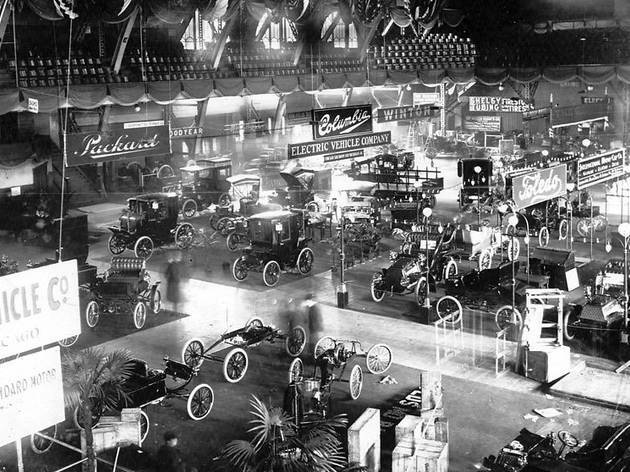 Chicago's first official Auto Show was held March 23–30, 1901. 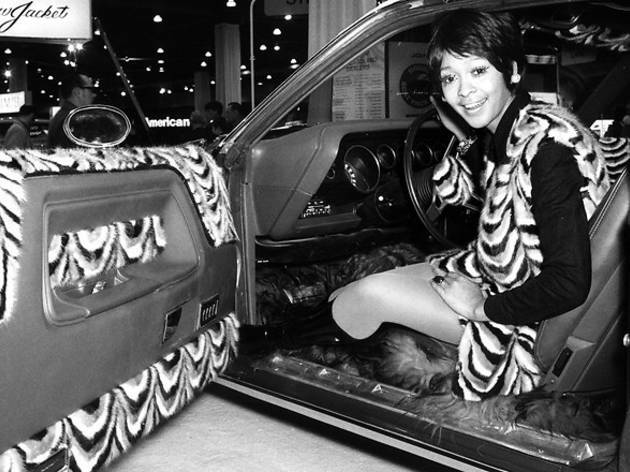 Yes, they had cars back then. 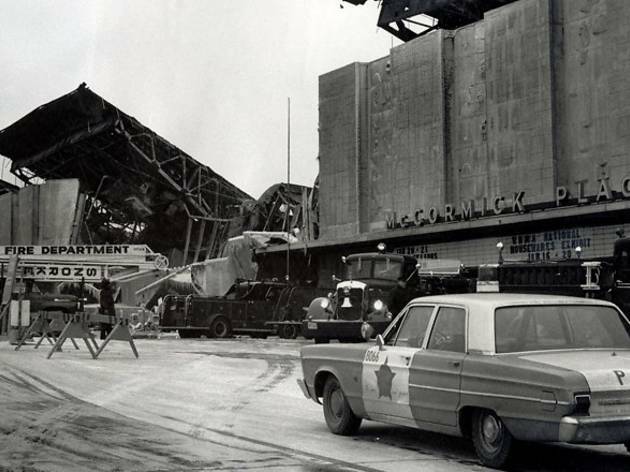 The eight-day event took place inside the Coliseum exposition hall on Wabash Avenue, between 15th and 16th Streets. 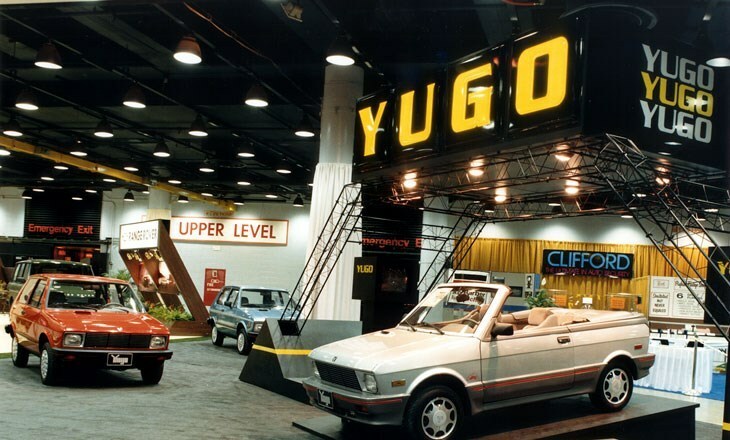 Opening night was invitation-only for the "top 20,000 families" in Chicago. General admission for the public was 50 cents. 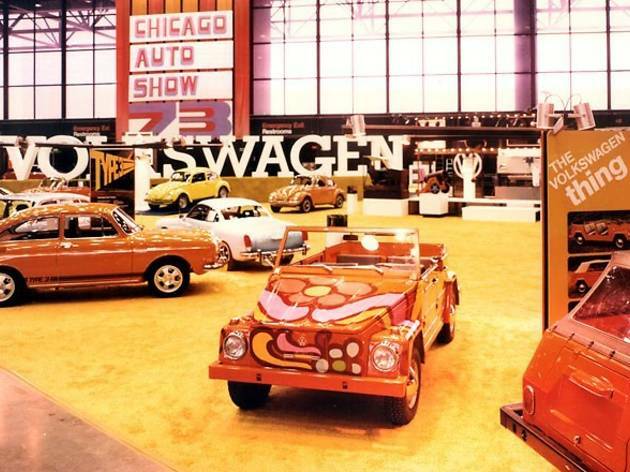 These days, the Chicago Auto Show is held in McCormick Place, with the 2016 edition running February 13–21. 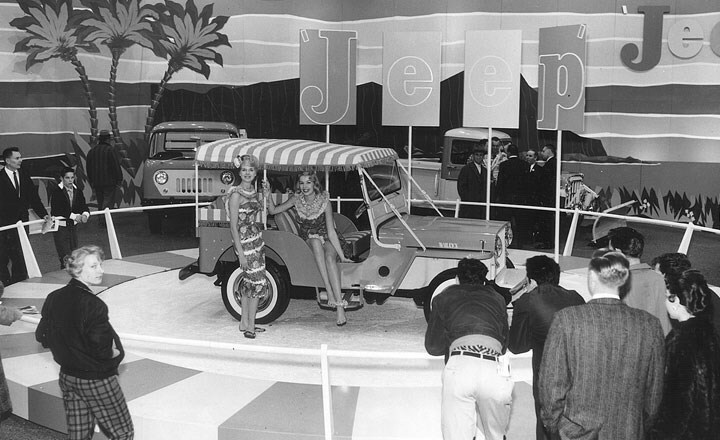 Thankfully for nostalgists, the Auto Show keeps a nice archive of photos from its 115 years. 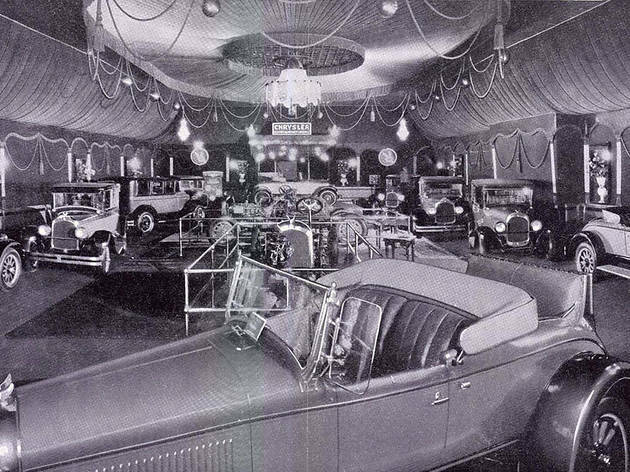 We dug through the photo albums to find some favorite shots of lemons, hot rods, models and other fascinating peeks at history. Find many more images at the official website. 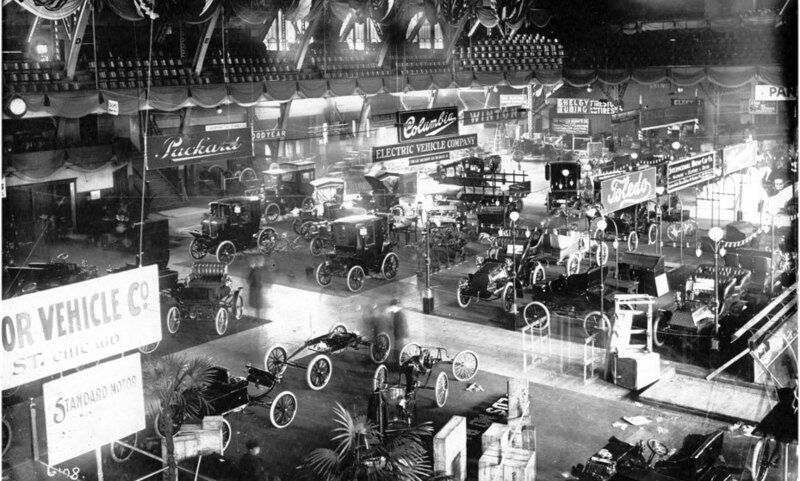 Both open- and closed-top bodies sit on display in the Coliseum, 1903. 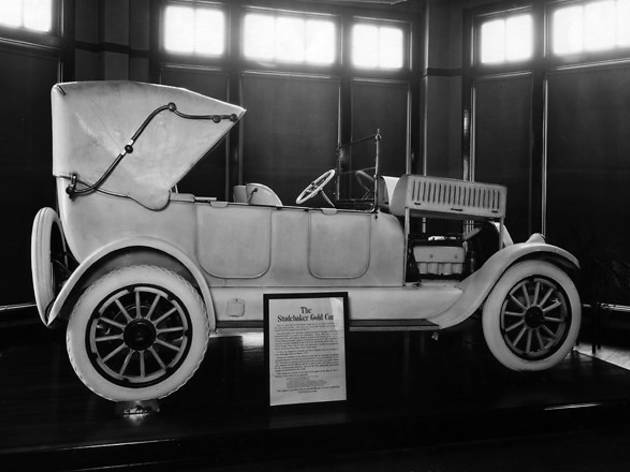 Featured brands were Packard, Winton, Columbia and Pope-Toledo. 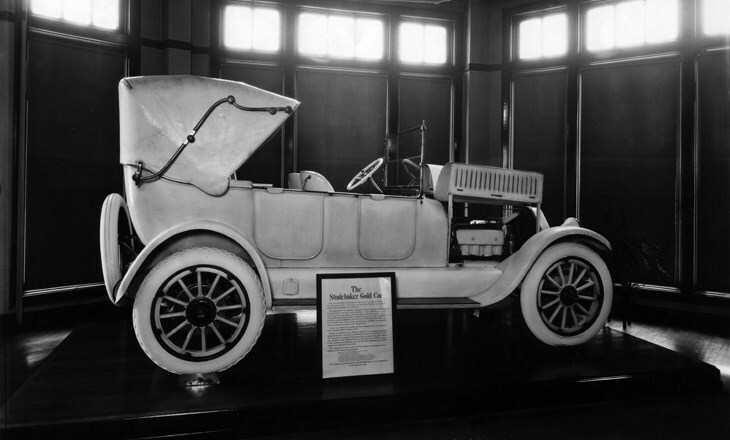 The 1917 Studebaker exhibit featured a Gold Car, which was comprised of 8,000 parts finished in pure gold, valued at more than $25,000. That's about half a mill in today's cash. 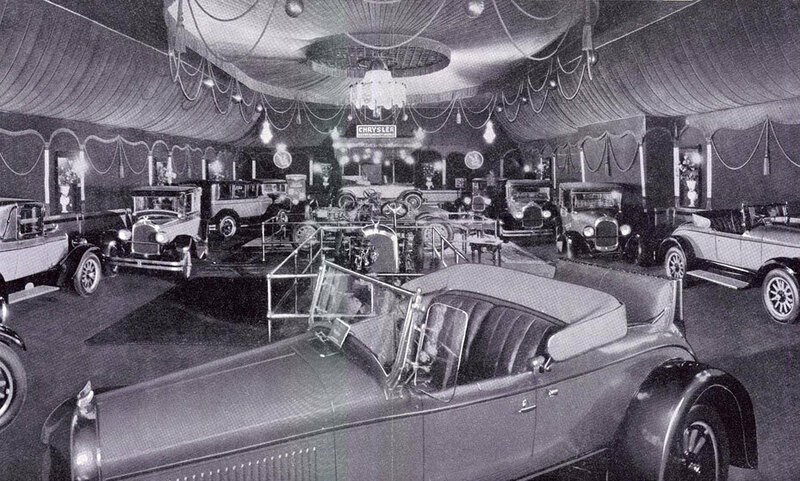 This 1923 Chrysler exhibit was offsite, in the ballroom of the Congress Hotel "where inspection [could] be made more leisurely than at the show proper." 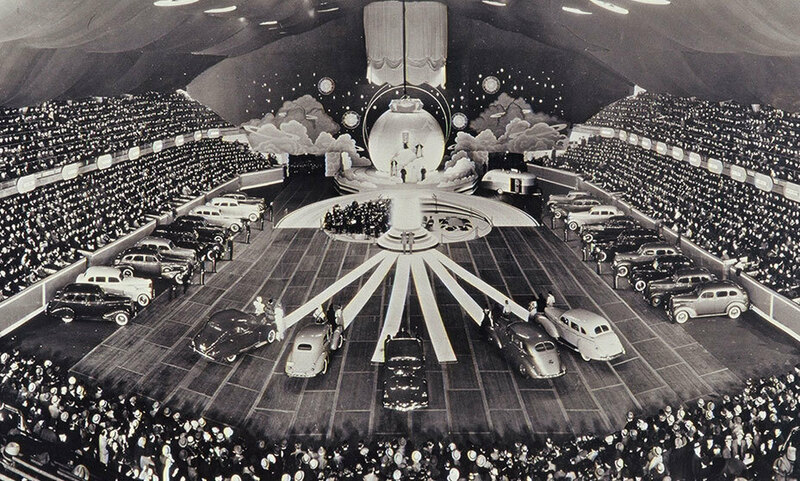 An overhead view captured the "Fashion of the World" revue during the 1938 Chicago Auto Show. 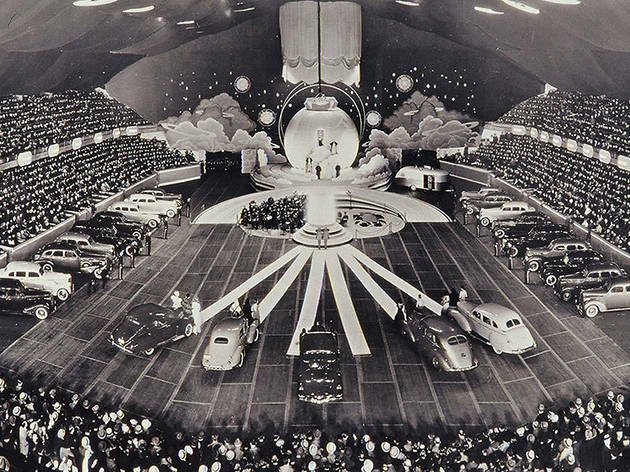 Audiences up to 12,000 were entertained by musical presentations and costumed women. 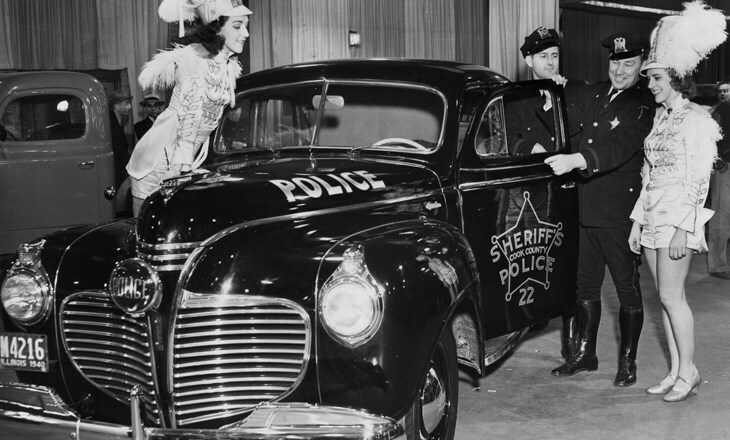 Cook County Sheriff's deputies G.S. 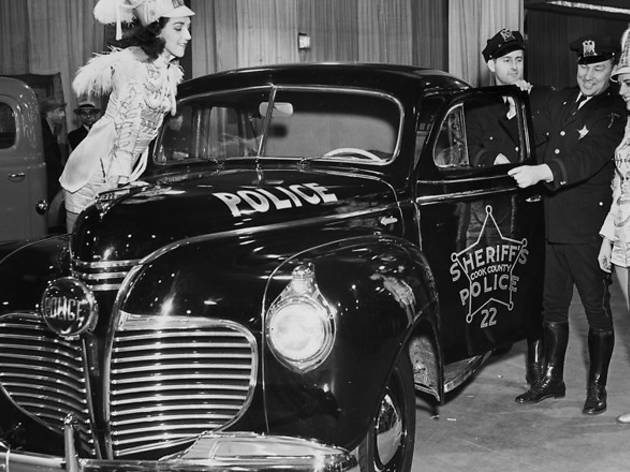 Oehmen and Charles Glimm show off their new 1941 Plymouth squad car to the dancing Raush sisters, Elaine and Loretta, at the 41st Chicago Auto Show. 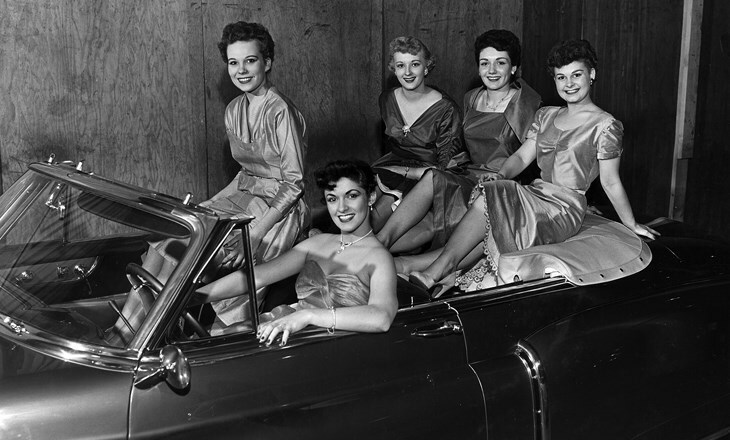 Five "community queens" pose in a 1952 Cadillac convertible, at the Auto Show in the Amphitheatre. 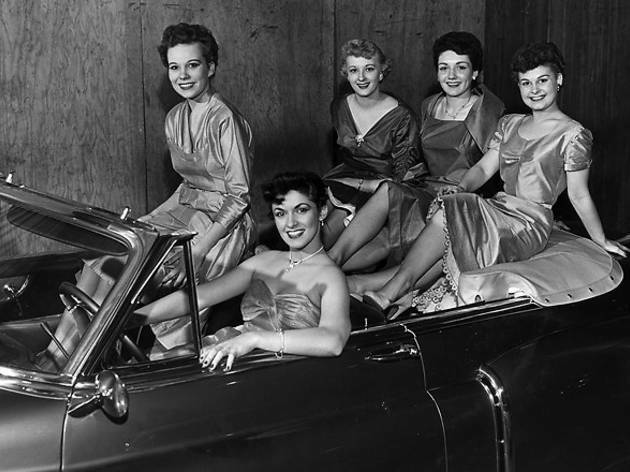 At the steering wheel is Miss West Suburban (Diane Jedick), in the passenger seat, Miss Belmont (Ruth Collins). Seated in the rear are (left to right) Miss Portage Park (Gloria Kramp), Miss Irving Park (Philma Fox) and Miss Logan Square (Bonnie Yake). 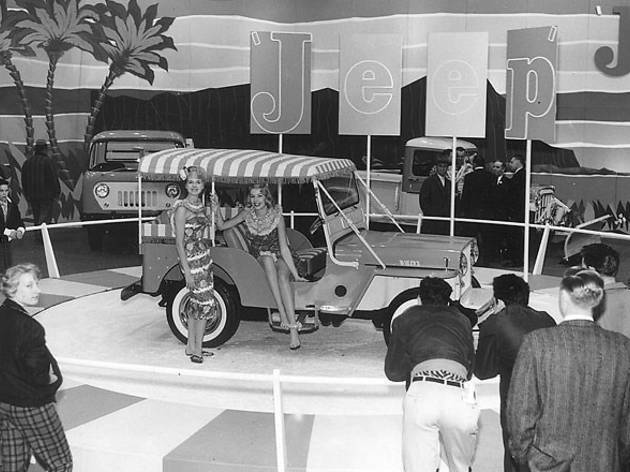 Dressed for a luau, models show off the fringe-topped Jeep Surrey in the 1960 show. 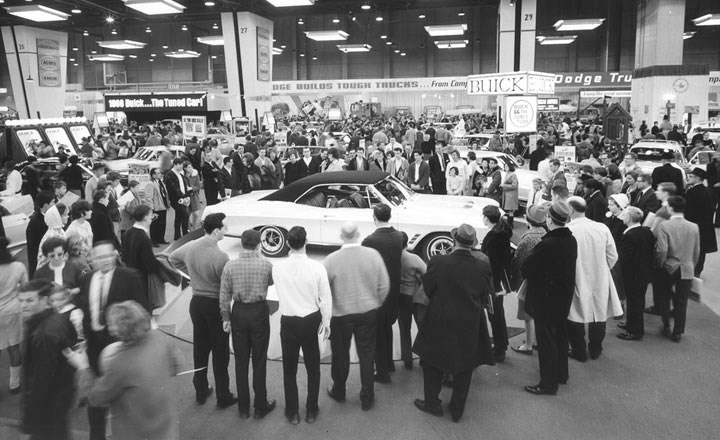 A crowd gathers around a 1966 Buick Skylark GS hardtop, which was the new high-performance member of the Skylark series. 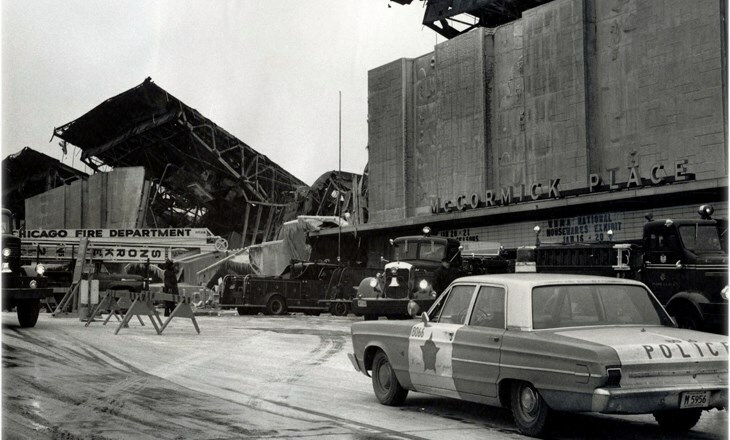 In 1967, just four weeks before the 58th annual Chicago Auto Show was to open, the original McCormick Place exhibition hall was destroyed by an enormous fire. 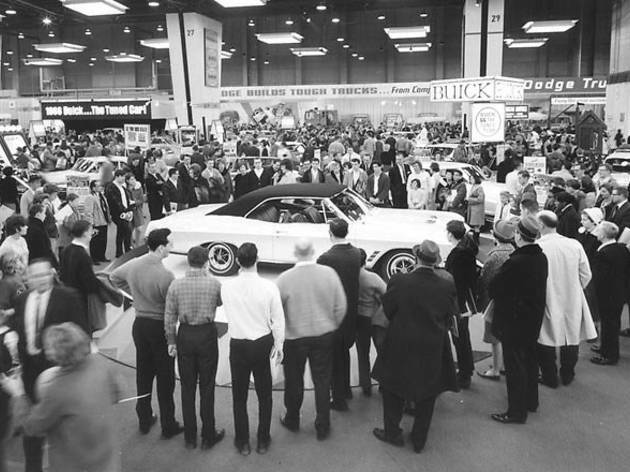 Relocated to the International Amphitheatre, the Auto Show remained there through 1970, when the rebuilt McCormick Place opened for the 63rd annual event in 1971. 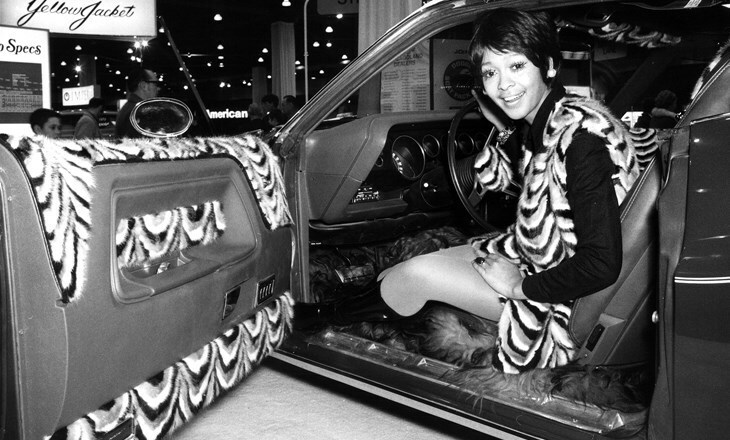 A model matches her outfit to the fur-lined Dodge Challenger in 1970. 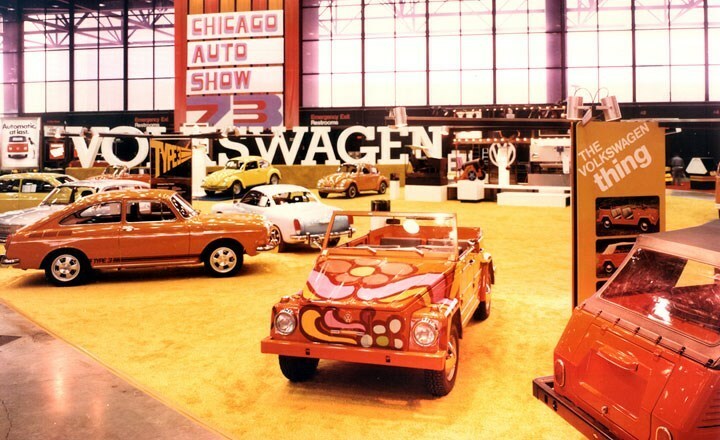 Orange and pink psychedelic floral patterns cover Volkswagen's "The Thing" at the 1973 Chicago Auto Show. 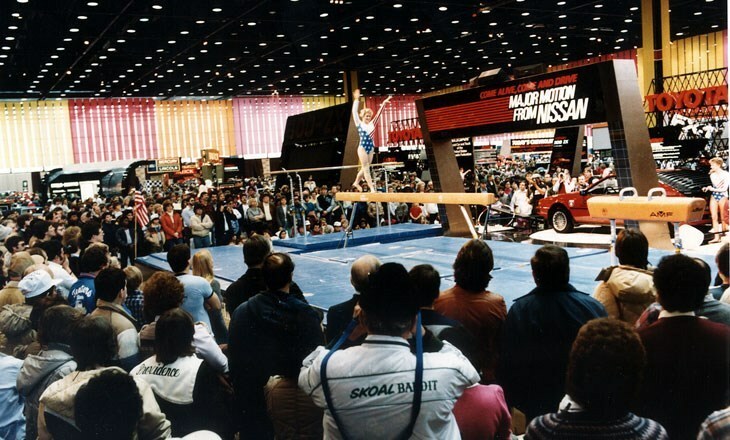 Gymnasts from the U.S. Olympic team perform next to a red Nissan 200SX hatchback coupe during the 1985 Chicago Auto Show. 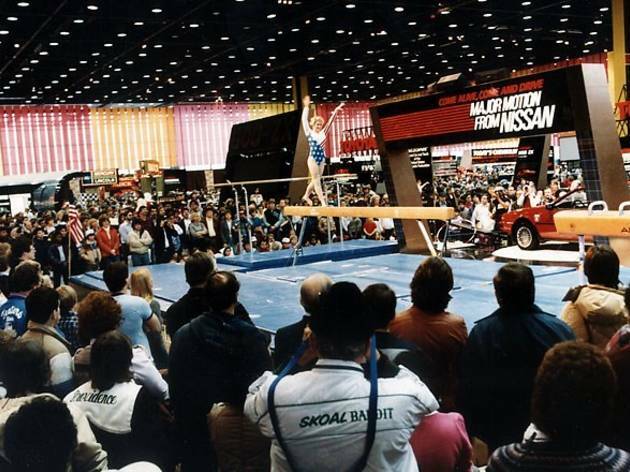 No, that is not Mary Lou Retton. 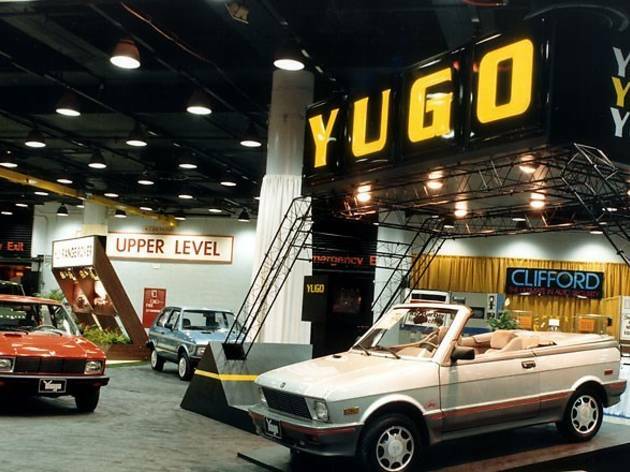 This 1991 exhibit of the Yugo, widely considered one of the worst cars ever made, might induce nostalgia for kids of the '80s and '90s. 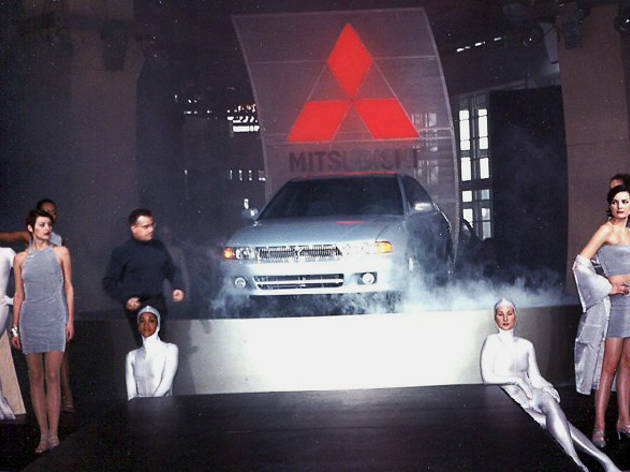 With the cover sheet justed lifted off, the 1999 Mitsubishi Galant debuts in spectacular style with music and dancers at the 1998 Chicago Auto Show. 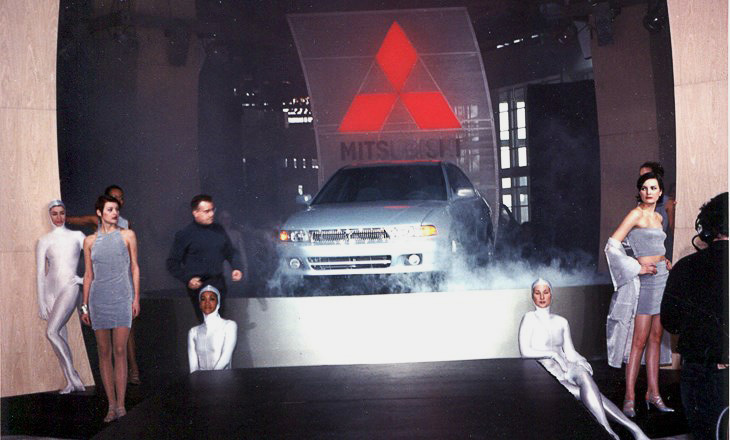 Where's Robert Palmer when you need him?